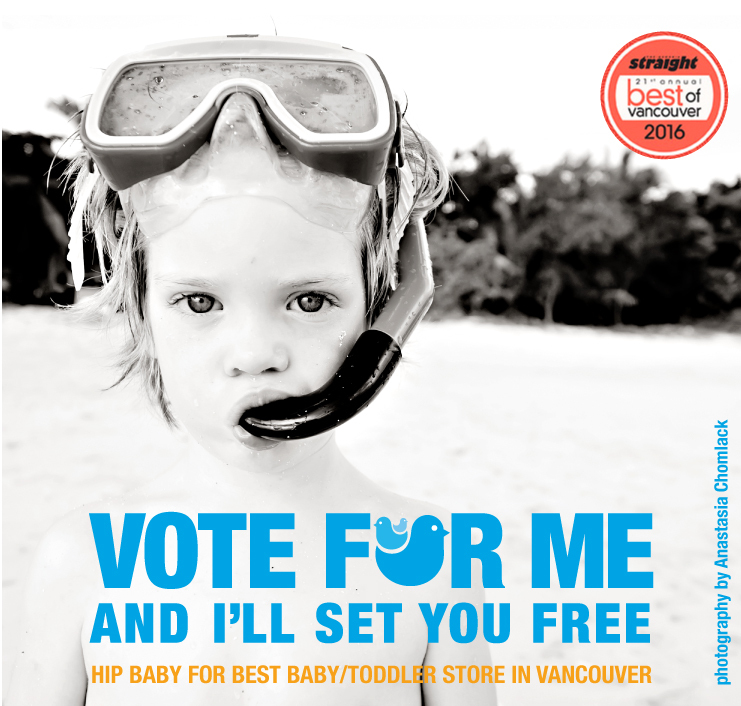 Hip Baby Blog: Vote for the Best of Vancouver! Vote for the Best of Vancouver! It's that time of year, when you can vote for your Best of what Vancouver has to offer. The Georgia Straight Best of Vancouver voting polls are open! Answer 15 and be entered to win a Helmet getaway, and many other prizes. Best Baby/Toddler Store can be found in the Urban Living section on the third page. We appreciate all of your votes!